Yes,all our midsize sedan cars have CD players. We have the competition on the run with this neat addition usually only found on larger cars! Make sure to ask for CD. 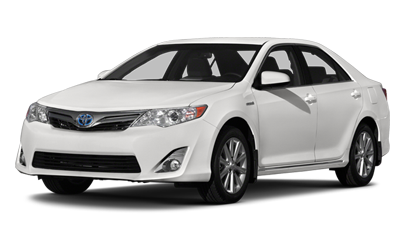 The 4 door midsize car is fuel efficient, seats 5 people and offers a comfortable ride. The roomy interior and ample trunk space makes it a great car for weekend getaways. All midsize cars are equipped with All Season Tires, ABS Brakes and Cruise Control for your safety and convenience. To make your travel more enjoyable, the cars equipped with FM/AM Radio, CD Player, Bluetooth, USB and Auxiliary port. It is available in various models and colors. Little wonder why AAMCAR is the choice for New Yorker locals and visitors internationally! The Taurus combines spacious comfort with world class appeal. All have CD players and are very reasonable on the gas consumption. The 4 door full-size car is fuel efficient, seats 5 people comfortably and offers a smooth pleasant ride. The spacious interior and large trunk makes it agreat carchoice for long trips.The cars are equipped with All Season Tires, ABS Brakes and Cruise Control for your safety and convenience. To make your travel more enjoyable, the cars equipped with FM/AM Radio, CD Player, Bluetooth, USB and Auxiliary port. Planning a trip to New York City but worried that a rental car won’t be big enough for you and your travel mates? Why not look into an SUV rental? SUVs offer plenty of space, (both for cargo and travellers) but are a more stylish alternative to trucks and mini-vans. SUV New York car rentals are known for providing safety to its occupants during accidents because of their weight and height. Although it has been rumoured that larger SUV’s pose a threat to smaller vehicles, this was discarded in a June 1998 survey by the National Highway Traffic Safety Administration. The survey stated that SUV’s perform the same as a full-sized car in the case of a collision and that they do not overpower smaller vehicles. Even though this test proved that SUVs were safe, companies took an extra initiative to build even better vehicles. European companies have begun to develop new technology that utilizes an electronic stability control system. This system involves sensors what would detect when your SUV New York car rental begins to lose traction and would automatically apply brakes to the appropriate wheel. These systems have been proven to help prevent vehicles from tipping or skidding when pared with safe driving techniques. Sine SUV’s are larger than most normal sized vehicles they are built heavier than other vehicles, which will work to your benefit in the case of an accident. Plus SUVs are better equipped for cargo and are great for off-roading adventures. Many companies like Toyota, Lexus and Ford are now beginning to come out with the “Cross-Over” vehicle: a vehicle that mixes both the features of an SUV with that of a full-sized car to create an even safer, more fuel efficient ride. These “Cross-Overs” have unit body construction and are easier to manage than the bigger, bulkier SUVs. As of right now AAMCAR Discount Rentals is offering the Jeep Cherokee and the Nissan Pathfinder as their SUV New York car rentals, but be sure to check the site regularly, as the fleet is always growing! Below you’ll find a little information on some of the features of the Cherokee and Pathfinder New York car rentals; if you’re interested feel free to book it for your next trip to New York at www.aamcar.com! The Jeep Cherokee is a great alternative to a mini-van if you’re planning on taking the kids on your next trip to New York City. The Jeep Cherokee was the first modern compact sport utility vehicle introduced to the market back in 1984 and has been one of the top SUVs ever since! 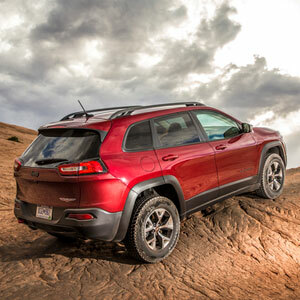 The Cherokee New York car rental holds up to five people and serves well as a basic, economically priced SUV rental car. It has the convenience of a 4 wheel drive system, perfect for those slipper winter roads, while the spare tire is stored conveniently inside the rear cargo space. 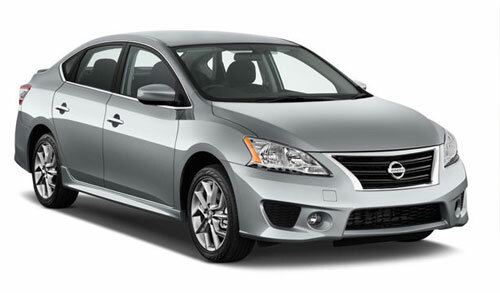 The Nissan Pathfinder New York car rental is a roomy, comfortable and capable SUV. It can carry and outstanding amount of cargo, plus 5 passengers without feeling squished. The powerful engine emits little to no road noise and the suspension provides a smooth and comfortable ride. This SUV drives more like a car than a truck on pavement, but has the capability to go off-roading on some extremely messy roads! It’s powerful, quick, while at the same time it feels surprisingly light and agile, with a speedy throttle response. Planning a trip to New York City but worried that a rental car won’t be big enough for you and your travel mates? Why not look into an SUV rental? SUVs offer plenty of space, (both for cargo and travelers) but are a more stylish alternative to trucks and mini-vans. SUV New York car rentals are known for providing safety to its occupants during accidents because of their weight and height. Although it has been rumored that larger SUV’s pose a threat to smaller vehicles, this was discarded in a June 1998 survey by the National Highway Traffic Safety Administration. The survey stated that SUV’s perform the same as a full-sized car in the case of a collision and that they do not overpower smaller vehicles. Even though this test proved that SUVs were safe, companies took an extra initiative to build even better vehicles. European companies have begun to develop new technology that utilizes an electronic stability control system. This system involves sensors what would detect when your SUV New York car rental begins to lose traction and would automatically apply brakes to the appropriate wheel. These systems have been proven to help prevent vehicles from tipping or skidding when pared with safe driving techniques.